Texture paints and finishes give your home matchless beauty. Yet, daily living can result in dirt, dust, smudges, stains, smears and fingermarks on your walls and ceilings tarnishing the beauty of your texture paint. So, if you haven’t taken a fine look at your painted surfaces lately, you must have a close examination. Keeping your interior and exterior painted surfaces clean and maintained will help attain a freshly painted look and extend the life of your paint. How should I clean painted surfaces? Start out with a soft cloth or sponge dipped in the clean water. Rub the stained surface gently. 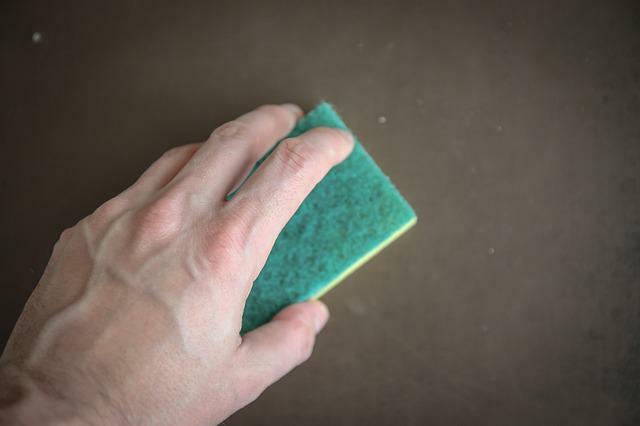 If that doesn’t work, use a mild soap water solution, and wipe the surface again with the sponge with gentle pressure. If the marks and stains persist, you can use an abrasive cleaner or a strong solution of water and household bleach. What treatment to apply on different kinds of stains? Stains can be either waterborne or oil-based. Waterborne stains, like mustard, ketchup and wine, are mild ones and can be easily taken off with a wipe of clean, wet cloth. Oil-based stains, including cooking grease, lipstick, shoe polish and crayon are stubborn ones. To remove such greasy spots, you may need a mild dish-washing soap solution and a soft brush to rub the surface. How do you go about cleaning permanent marker? For these are stains from permanent markers on your walls, use dish-washing liquid to get as much stain as you can. Even then, the marker may not be removed completely, so you can go for an aggressive cleansing product like Comet. First, try to scrape off as much solid wax as possible with a dull-edge knife. To remove the additional residue, hold a bag of ice over the stain, which will harden the wax, and then remove it using the knife. Finally, you can use a hair dryer to melt the remaining residue and wipe it off using a cloth. What more, before using a bleach solution or abrasive cleaner, always test a tiny spot to make sure the chemical doesn’t affect your original paint finish.